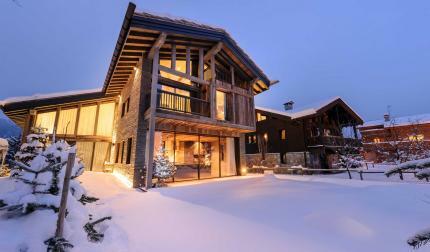 Imagine yourself getting in from a hard day's skiing - wrenching off your tight ski boots, peeling off your jacket and salopettes that are soaked through from the heavy snow, donning your swimming outfit and lowering yourself into a heated luxurious swimming pool. Bliss. 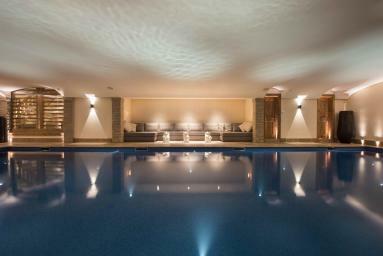 Choose one of our luxury chalets with a pool and you could be in that very position! 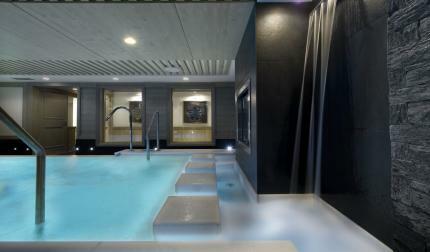 Many of Ultimate Luxury Chalet's properties come with a swimming pool. If you want to carry on the exercise by doing some lengths against a counter-current, want to relax after a tough day or even play with the children before dinner, our luxury ski chalets with swimming pools can offer you that opportunity.